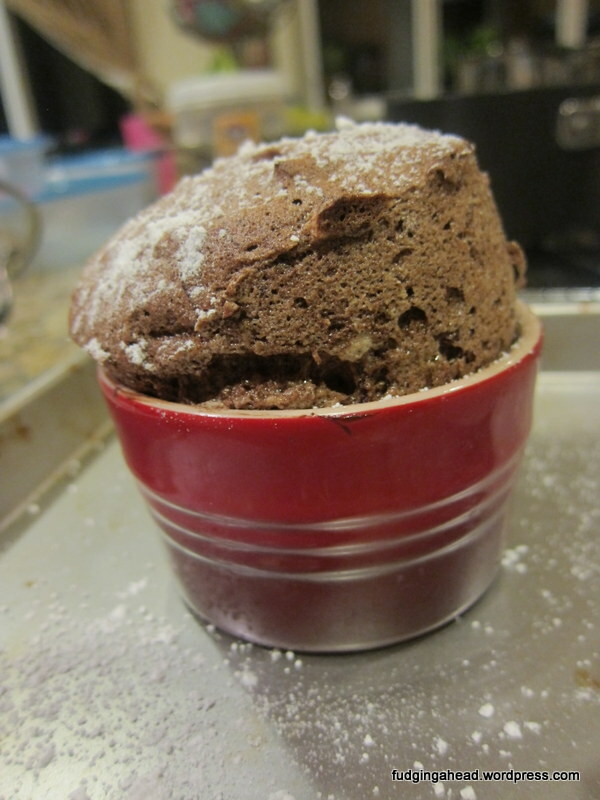 After finally getting savory soufflés the way I wanted them, I needed to master a chocolate soufflé. I was always so worried by them, and thought they would be very complicated. When I came across a recipe from America’s Test Kitchen, I was turned off by all of the steps. Surprisingly, Mr. Chocolate himself was the one with a recipe that was simple and something I could make ahead. Perfect! One of my all-time favorite cookies from my all-time favorite Mom. My mom would make these, mostly around Christmas, and she got the recipe from her grandmother who helped raise her. One of the few recipes I have been passed down since my mom wasn’t the best at writing down most of her recipes (boo). Thankfully I have these to help remember baking with her in the kitchen. 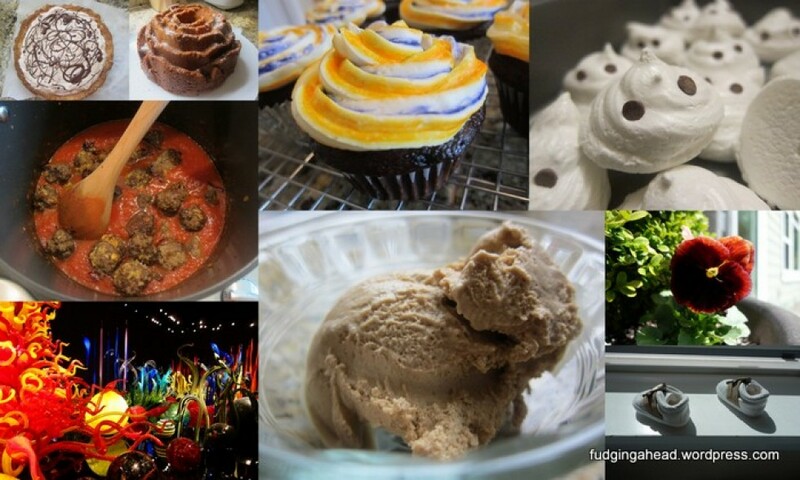 Sometimes I come across recipes I follow almost verbatim, and want to share my experiences with them. Sometimes I play around with them, and decide that playing around is not great. That’s what happened with this recipe for oven-fried zucchini. 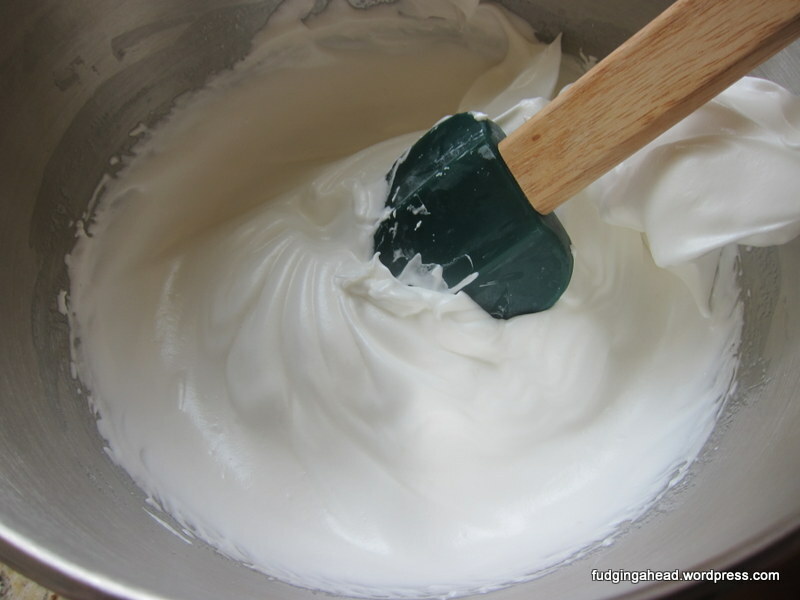 We happened to have some egg whites I wanted to use up, as well as some zucchini. Unfortunately, I was in a bit of a rush making it, because I was also trying to keep the Fudgelet entertained. Unfortunately, the days of wearing him in my baby carrier for cooking don’t always work. He wants to be on the move and looking at everything, so I either have to cook while he’s napping, or find him a good spot to play. I went from having no Halloween treat plans to a few all at once! This treat came about because I had a few egg whites leftover from making Toasted Marshmallow ice cream. 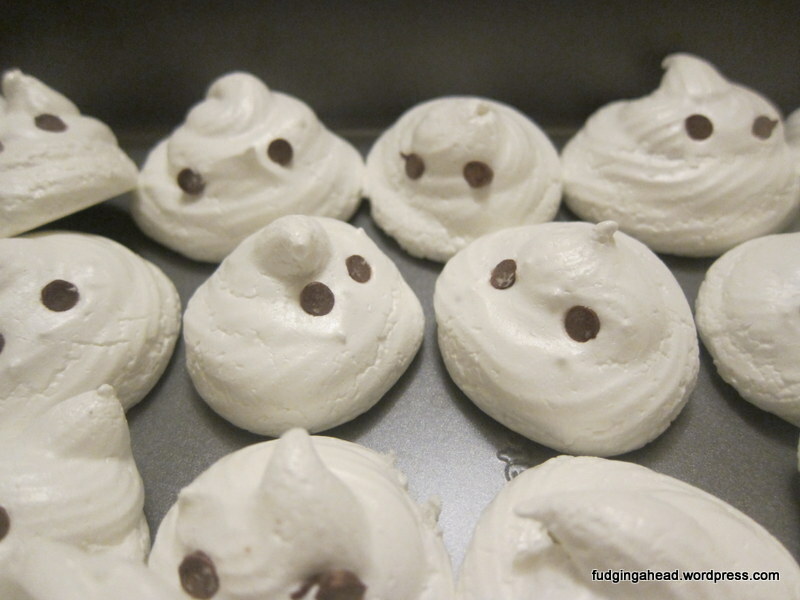 Then, I saw meringue ghosts posted as an idea and wanted to do a version for a party we were hosting. These became great palate cleansers because of the little twist I included in them (see below for the recipe). 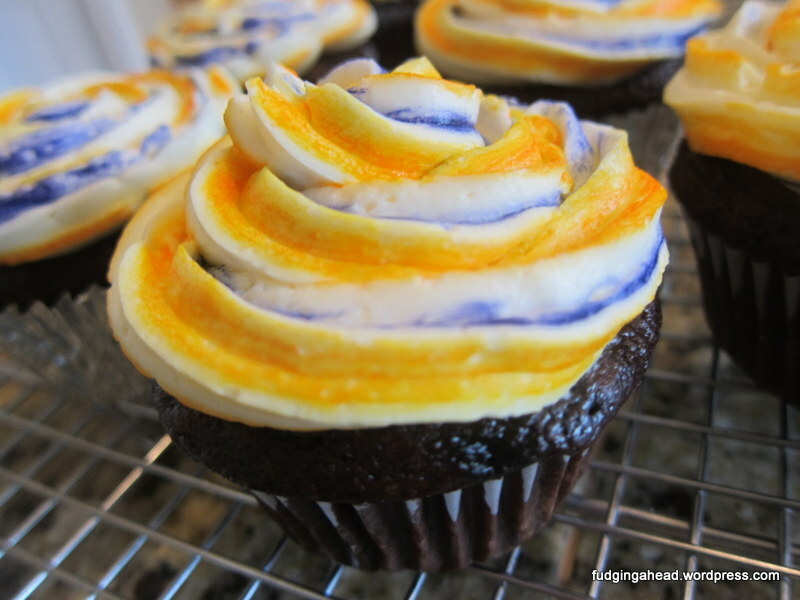 Tomorrow I am sharing an even easier treat involving chocolate, so stay tuned if you are interested in another Halloween idea. It’s an oldie but goodie, and one I’d never made before. Of course, these ghosts were also new. 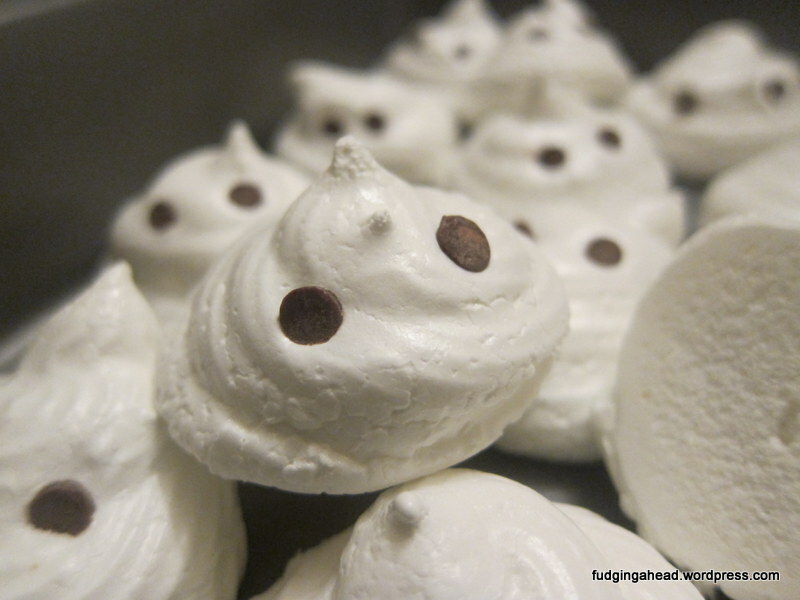 I have made meringue cookies before, but this was slightly different. The ghosts were having a discussion. I surprised K with a fancy cake that had absolutely no chocolate in it. I made it kind of on a whim. 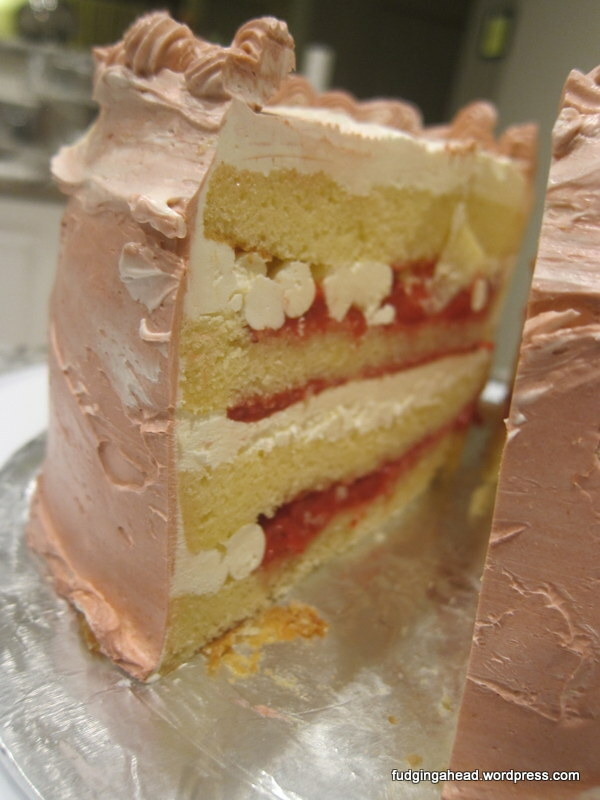 I was in the mood for a strawberry cake, and this cake basically tastes like strawberry shortcake. 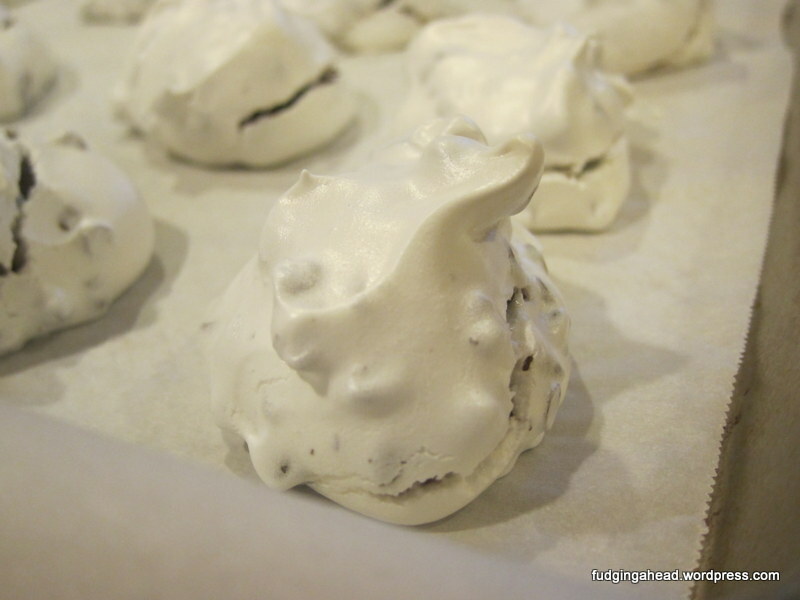 Besides wanting to enjoy the strawberries, I also wanted to try out some meringue powder I had bought. 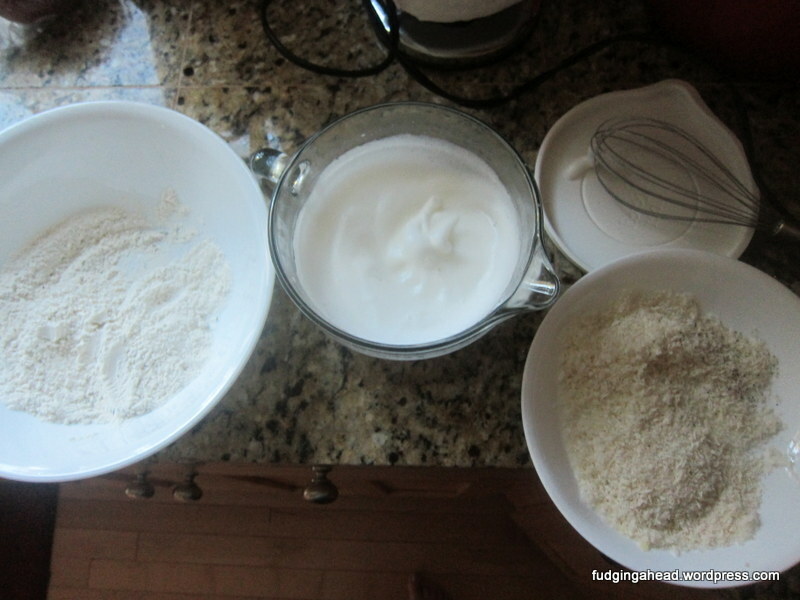 I ended up only using about 4 egg whites, and the rest of the egg whites in the buttercream came from the meringue powder.